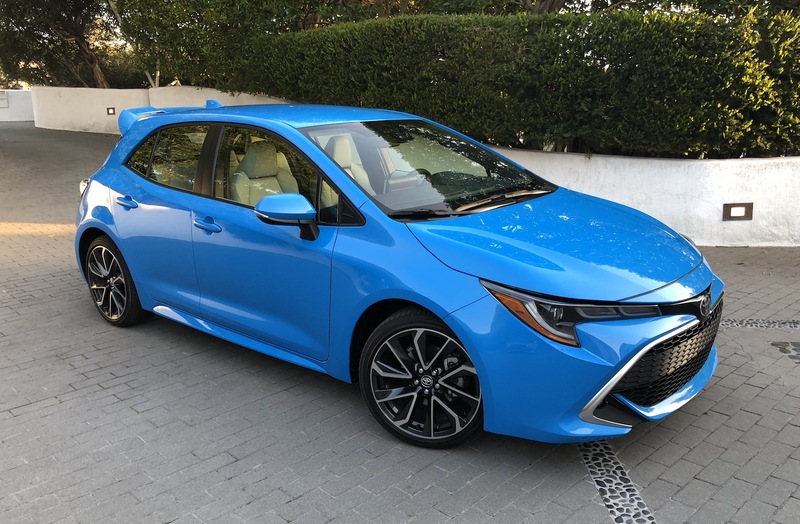 To say the least I was extremely impressed with the 2019 Toyota Corolla Hatchback during testing around the coast of San Diego to epic California weather last week. 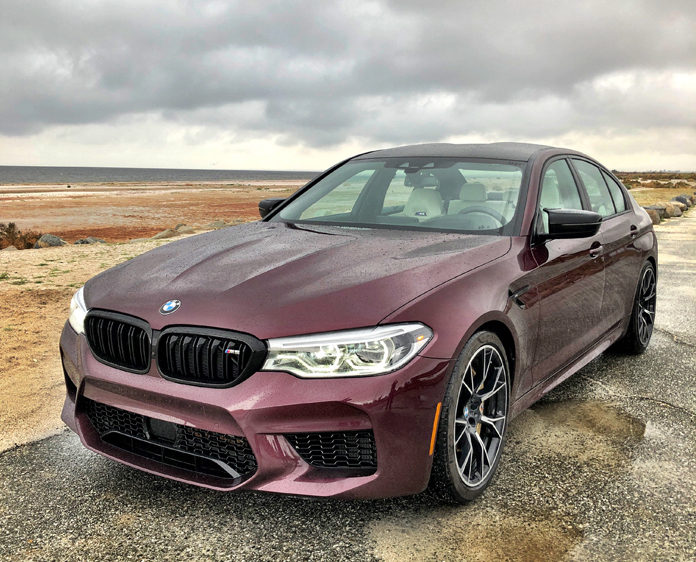 For such a diminutive vehicle it sure does pack a punch in the form of advanced driver technologies typically relegated for Toyota’s more advanced vehicles such as the Camry or Avalon. For example, the hot hatch is blessed with both Lane Departure Alert with Steering Assist function and Full Speed Dynamic Radar Cruise Control. The Corolla Hatchback is quick, agile, stylish, fully functional and convenient when meandering through city obstacles. 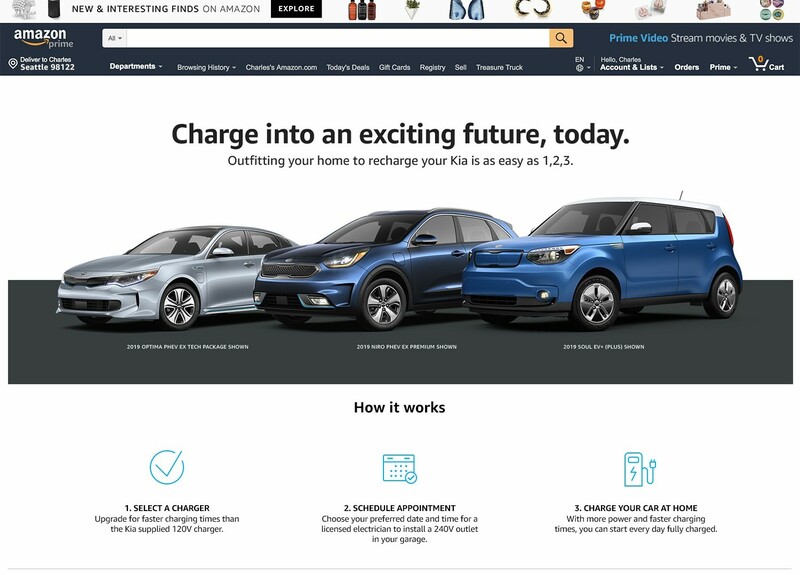 Presenting Americans with value, dependability and fuel efficiency since 1968, today’s customers can expect more of the same in addition to modern standards in the latest rendition which has been built from the ground up. 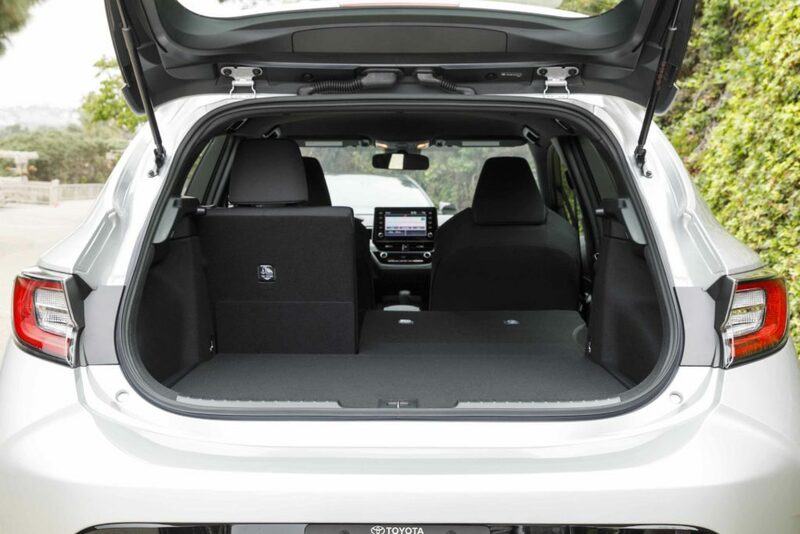 Hatchbacks offer the best of both worlds with their unique abilities to haul things such as bikes, yard supplies, luggage and a plethora of groceries while still allowing owners to drive with enthusiasm. 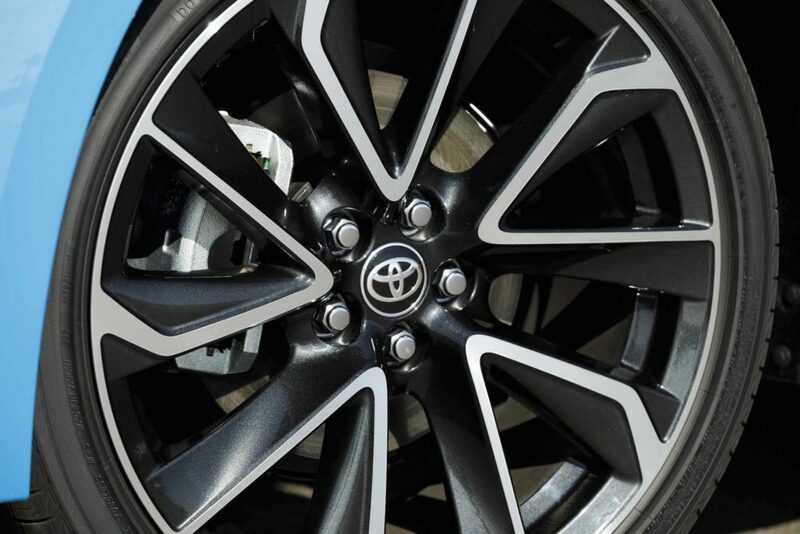 The 2019 Corolla Hatchback’s new body is chiseled like gym rats and features sporty wheels (up to 18s) wrapped in 225/40 R18 Yokohama tires, unique tailgate spoilers, a chin spoiler, unique trapezoidal grille, aero stabilizing fins, a rear chrome diffuser, a set of flushed tailpipes and three new vibrant hues including Blue Flame (7 total). The hatchback is now lower, wider, longer and dominates with 60% more torsional rigidity. 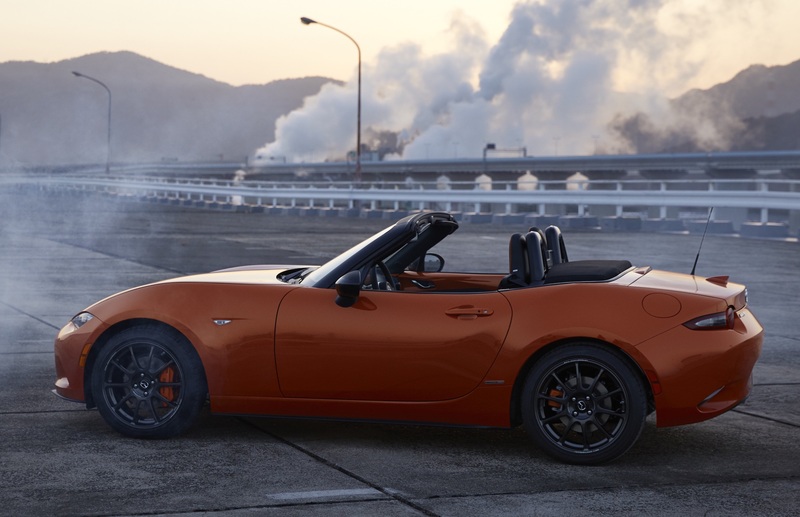 The hood and engine bay have also been lowered so the vehicle’s center of gravity and wide stance made it extremely fun to drive around the energetic Californian environment. To further reduce weight Toyota engineered the rear hatch from resin which is lightweight, adds fuel efficiency and creates flexibility for the high-grade design. 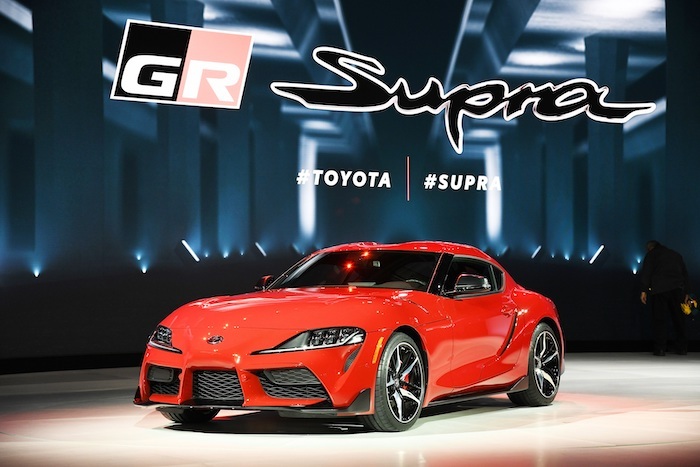 Toyota is focusing on younger customers under the age of 35 who are active, adventurous and love exploring life and redefining possibilities. Yes, I perfectly see myself loading up the Ghost Kato 7 mountain bike atop a Thule roof rack and venturing to the nearest trails with fitness friends. Though, the two passengers in the back would be a little cramped due to limited knee room unless the driver and front passenger are short. My 6’8” drive partner had no problem behind the wheel but didn’t have much flexibility in the passenger seat. On the highway and county roads the vehicle was full of zest and provided a good amount of acceleration and passing capabilities. 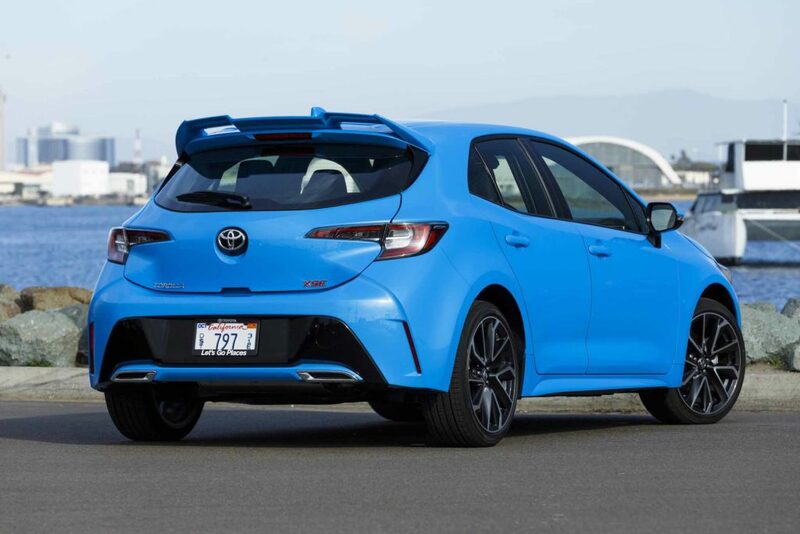 The nifty FWD Corolla Hatchback is powered by Toyota’s 2-liter Dynamic Force 4-cylinder engine with Dual VVT-I which provides 168-horsepower and 151 lb.-ft. of torque. This engine is spunky and allows the vehicle to move with passion. 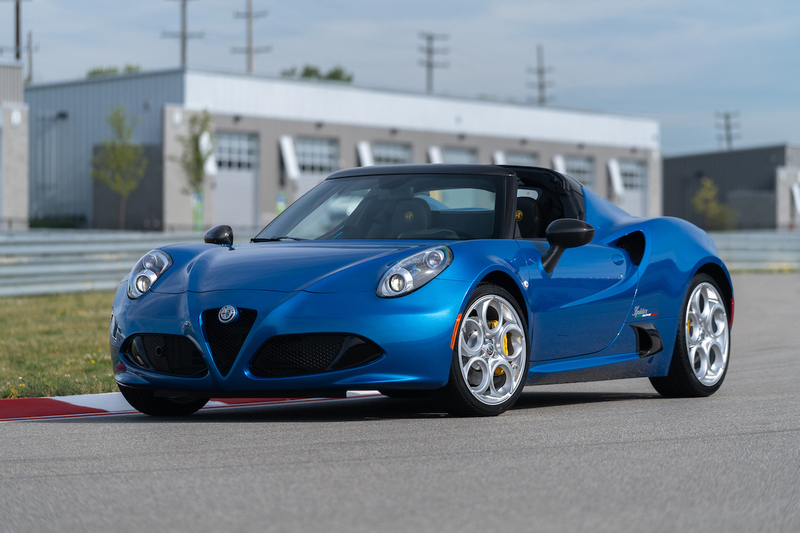 The 2-liter is partnered with either the Dynamic Shift CVT with paddle shifters and three drive modes (Sport, Eco, Normal) or the iMT (Intelligent Manual Transmission) with rev matching capability. Our XSE had the CVT which is much improved and shifted pretty seamlessly while Sport mode along with Active Cornering Assist made for an enjoyable combination around the region’s switchback, mountainous roads. Inside the little guy you will find a playful interior that is simple and clean. The number of buttons and controls have been reduced for simplicity and the smaller dash creates a minimalist feel and more space for other items such as the stagnant 8” touchscreen which houses the available navigation, Entune 3.0 Audio Plus with App Suite and much more. 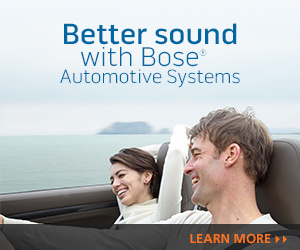 My vehicle featured the upgraded and robust 800-watt, 8-speaker JBL Audio system with Clari-Fi technology. Trust me, this infotainment system is three times better than the standard audio set-up which is weak and meager. Qi-compatible wireless charging, Wi-Fi and Apple CarPlay are also available. The sporty seats in the XSE are bolstered and the thick, multifunctional steering wheel with the aforementioned shift paddles was a nice touch to flow with the premium leather materials. The 2019 Toyota Corolla Hatchback will roll into dealers this summer in four models: SE CVT, SE MT, XSE CVT and XSE MT. 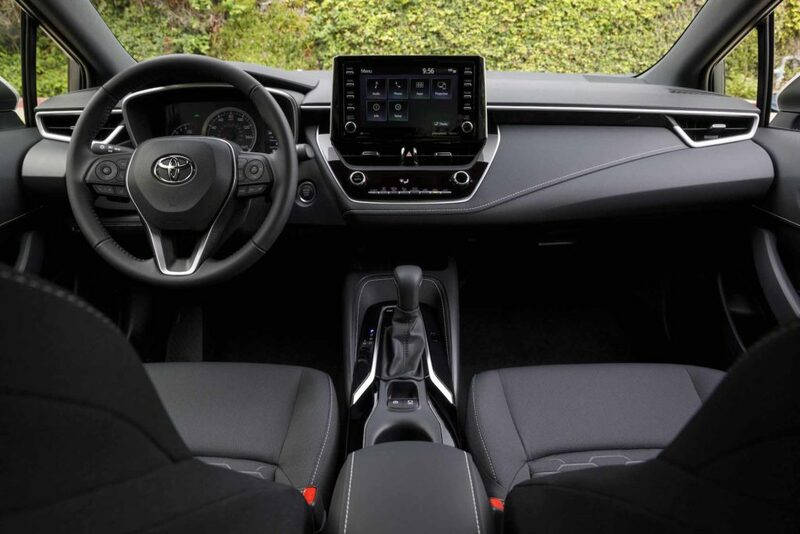 One of the main aspects to consider is the plethora of safety features (most of them standard) and technology embedded in this small hatchback by way of Toyota Safety Sense 2.0. 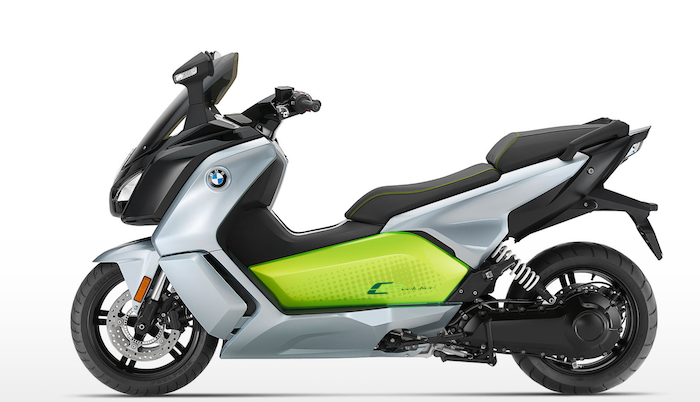 Some include Daytime Cyclist Detection, Road Sign Assist, Lane Departure Alert with Steering Assist, and Pre-Collision System with Pedestrian Detection. Then you have the Star Safety System which incorporates Enhanced Vehicle Stability Control, Traction Control, Electronic Brake-force Distribution, Brake Assist and Smart Stop Technology. And let’s not forget the 7 standard airbags, Hill Start Assist and Lane Tracing Assist which centers your Corolla within the lane. Yes, it worked like clockworks on Highway 5! 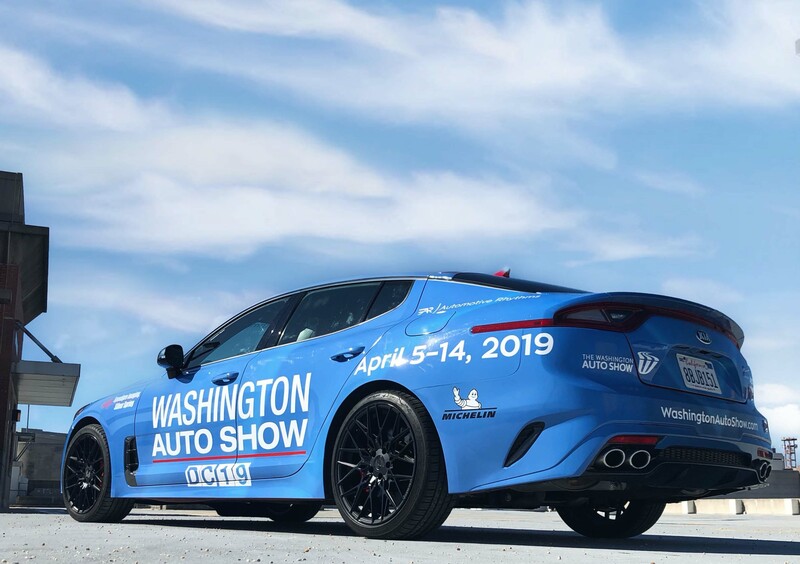 Consumers are clamoring for vehicles that present a boatload of advantages and include comfort features which can mesh with their active and connected lifestyles. 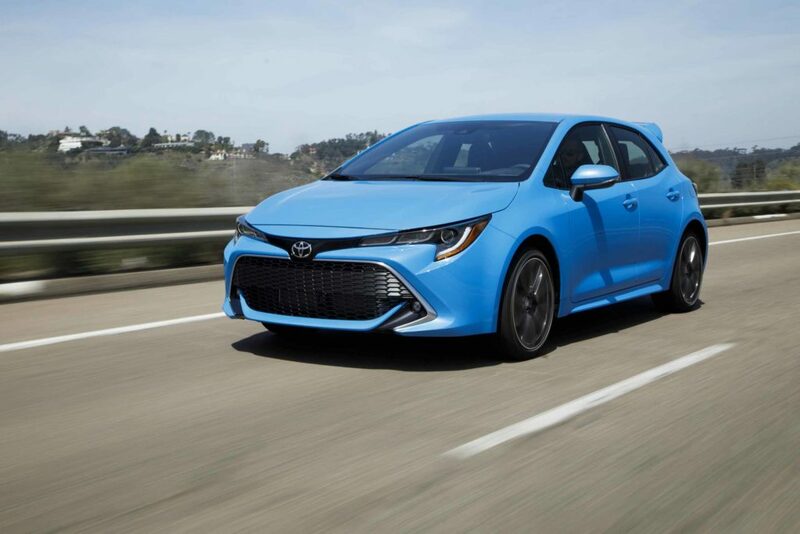 On top of added storage, utility capabilities and entry level performance the 2019 Toyota Corolla Hatchback is one fine choice to consider amongst a field of categorical greats including the heralded VW Golf.